The Buccaneers were held to a draw at home by Celtic midweek, in a match that there were expected to win. 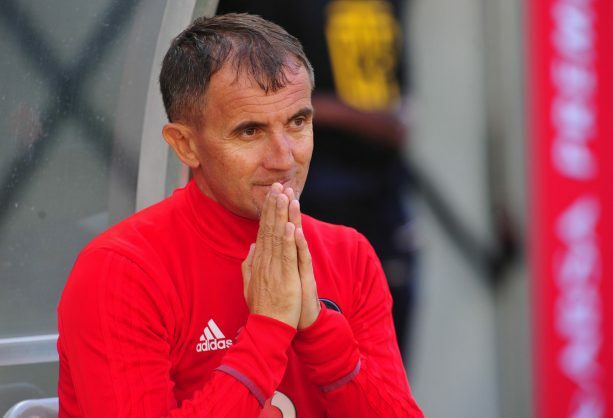 He was disappointed after dropping two points, but Orlando Pirates coach Micho Sredojevic remains positive his charges will pick themselves up following their 1-1 draw with Bloemfontein Celtic in the league and says they knew what was to come from the Free States outfit at the Orlando Stadium on Tuesday. Having secured back-to-back wins against AmaZulu FC and Golden Arrows, the Buccaneers were expected to sail through Celtic with the side dominating proceedings in their quest for the Absa Premiership title, but found it difficult to overcome Phunya Sele-Sele as they ended up scoring a late goal to earn a point on the night. “It was a match where we expected a challenge from the opponents, they had nine players behind the ball in a reinforced defence. We tried our best from the start of the match to penetrate and bring ourselves into areas where we could threaten their goal,” said Sredojevic. However, the point was enough for the Buccaneers to lead the standings with 40 points from 23 matches, but they are level with Mamelodi Sundowns who dropped to second after losing to Cape Town City on the same night and Bucs are on top via a better goal difference. Meanwhile, winger Thembinkosi Lorch received the Absa Premiership Player of the month (February) award yesterday at the PSL offices for his instrumental role that has seen Pirates stay in the race for league honours by scoring an important goal in the Soweto derby against Kaizer Chiefs and providing two assists in previous games. The 25-year-old will be surely be looking to continue with his fine form as Pirates now shift their focus to the Caf Champions League as they host Zimbabwean side FC Platinum tomorrow night in their second last group stage match as they bid to qualify for the semifinals of the top African competition.